These classes are specifically designed to nurture the skills they already possess such as climbing, running, jumping and develop new skills that stretch their capabilities. We do this through Martial Arts. Although these guys won’t be able to take on a gang of adults they will be able to take on challenges presented to at them at their level such as PATIENCE, CONTROL, RESPECT, DISCIPLINE and LISTENING SKILLS. Of course Martial Arts is cool, it’s everywhere! 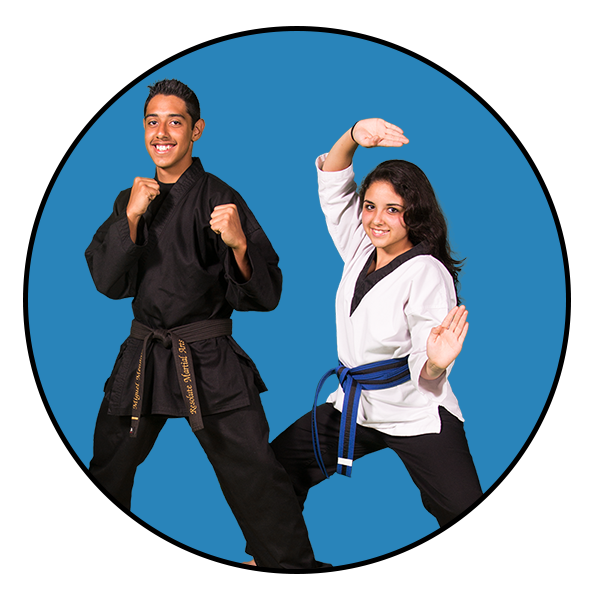 We offer some exciting aspects of Martial Arts that any teen would love to get involved in. Just look at any movie these days and you are bound to find Martial Arts. Look at celebrities that use Martial Arts to achieve personal strength! If the goal is fitness, we’ve got you covered. If the goal is entertainment, we’ve got you covered. If the goal is to challenge, we’ve got you covered. 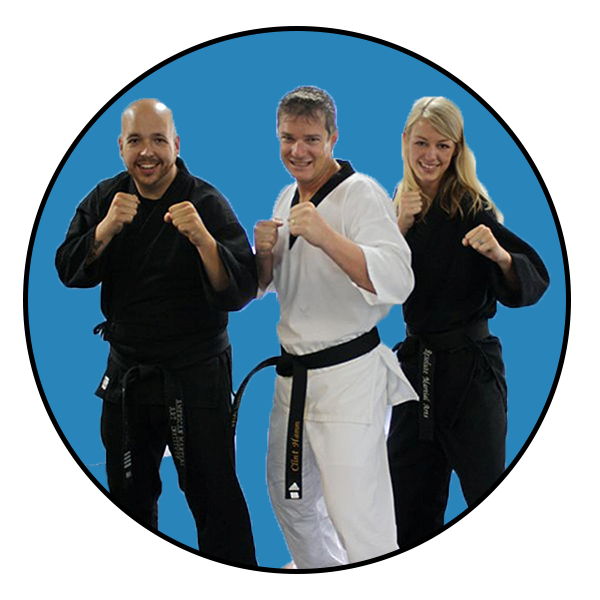 Most of our adults are involved in the Hyper Fight Club Kickboxing class however we do offer Adult Karate as well. 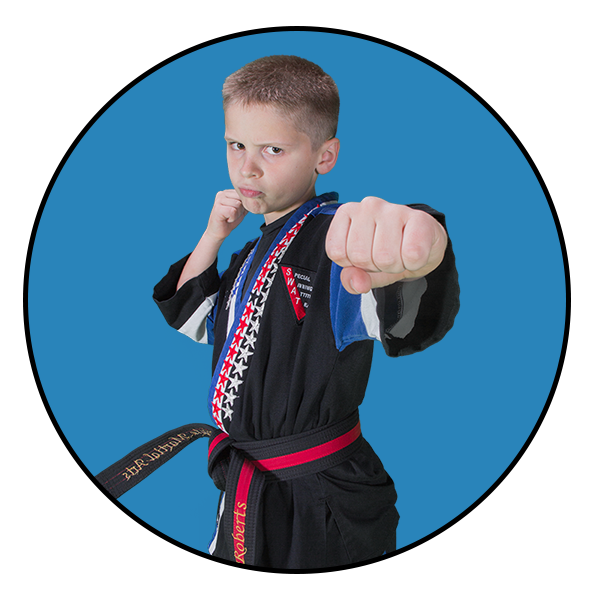 Learn the same blended system comprised of Karate, TaeKwonDo, Krav Maga, Arnis, and Judo. Our adults say that it is one of the best parts of their day. And if you have a family you also get to train together!!! How awesome is that! Again, this is one of the reasons why we are voted #1 in Destin! 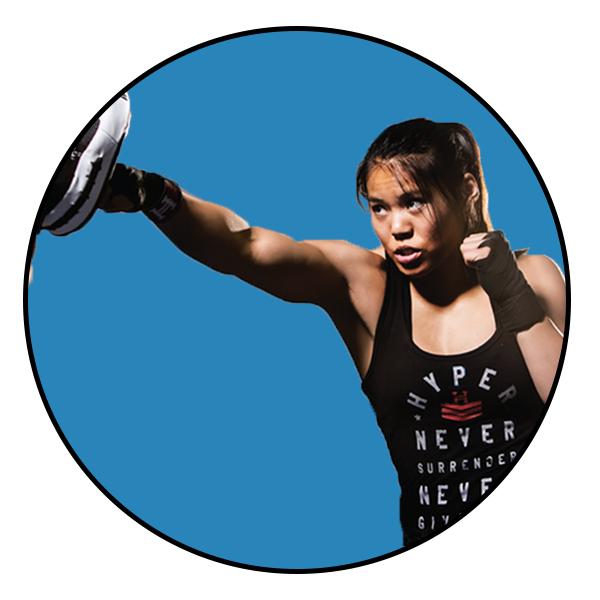 Hyper Fight Club is our Kickboxing program that delivers the workout you’ve always wanted. Action packed and calorie burning makes this a hard class to miss. If you have tried other workouts and just been disappointed you’ve got to check out a class and see what all the “Hype” is about! Who should come check out a class? These classes are by invitation only and require a good foundation of skill before starting. As a Hyper Pro Student you will learn advanced weapons, tricking and empty hand routines that will challenge the best athletes. 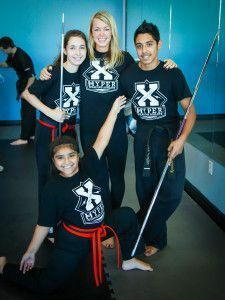 These classes allow you to learn straight from the Hyper Pros such as McKensie Emory, Jackson Rudolph, Tyler Weaver Jr., and more. If you are not on this elite squad then continue training hard and maybe you’ll get an invitation from Master Hamm. Our most elite members of the school belong to this team. Again, by invitation only, these students are training up to be demo team and competition team members. You usually see this group training every day. Only students that possess all the correct characteristics belong on this elite team. What are you waiting for? Grab our schedule and our trial offer here.